The fall, in Chinese Medicine, is ruled by the Metal Element, governed by the Lungs and Large Intestine organ system. The Lungs are what control the body’s defensive Wei Qi or immune system. If the Lungs are weak, the immune system can be weak as well, leaving the body vulnerable to external pathogens such as colds and flus. Deficient Lung energy can also manifest as grief or sadness, sometimes popping up during the Fall season as well. We can use acupressure and essential oils to help regulate the Lungs to prevent illness and boost emotional health. If we do get sick, these strategies also help us get better faster and alleviate symptoms. Essential oils not only smell great, but have so many practical uses. Click here for an overview of essential oils and how they are used in Chinese Medicine. The Lung meridian runs from the inner front shoulder, along the front arm, to the thumb. 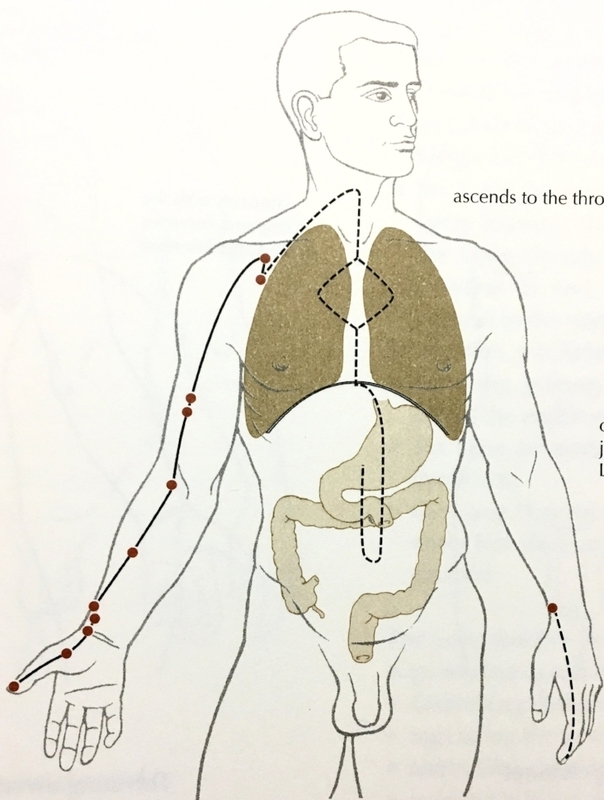 The Lung meridian, on the outside of the body, starts at the inside of the shoulder on the front of the body (Lung 1 point) and travels down the front of the arm ending at the thumb. Tapping Lung 1 helps bring energy and support to the Lungs. Brushing the lung meridian clears and opens the meridian pathway. Lung energy can get stuck, resulting in phlegm, congestion, sadness, grief, heat, dryness, coldness, and other signs. 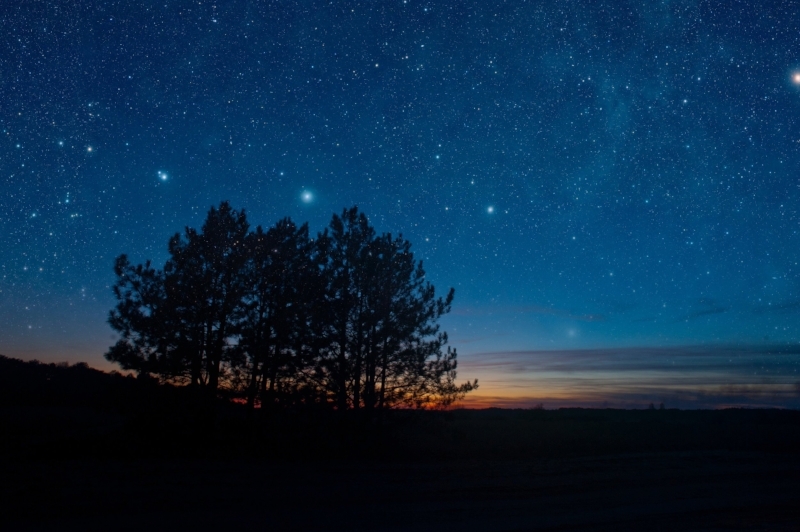 Brushing the meridian is not only comforting, but helps move out these energies, making room for fresh qi. While breathing deeply, tap Lung 1 three times and brush down the arm to the thumb, slightly pulling at the thumb, to pull out any of the energies mentioned above. Do this now for the other arm. Alternate arms tapping and brushing for 3-5 minutes. You can do this for longer as well. To increase the benefits, add a drop or two of eucalyptus essential oil (there are many varieties, but don’t worry about the type) and peppermint essential oil or rosemary essential oil to your hands. If you are sensitive to oils, make sure to dilute in a couple drops of carrier oil. Eucalyptus essential oil has an affinity with the Lungs, encouraging the release of wind (ie. pathogens) and dampness (ie. phlegm) from the respiratory tract. Eucalyptus is anti-inflammatory, antiviral, antibacterial, antifungal, antipyretic (fever reducing), and a decongestant. Peppermint essential oil also helps the release of wind, but has a cooling effect as well, which is great when there is fever, headache, sore throat, nasal congestion, or a dry cough. Rosemary essential oil can be used in place of peppermint if you are feeling cold and don’t have a infection, fever, headache, or sore throat (heat symptoms). Rosemary helps activate the immune system by increasing circulation and movement of the Wei Qi to the surface. Since rosemary is stimulating and moving, it is contraindicated if there are heat symptoms or high blood pressure. Rosemary is analgesic, antiviral, mucolytic, and an expectorant.